Hi I’ve tried 5:2 several times and not managed to stick to it. So I’m wondering what advice you could give me to help myself get into it. My husband has been doing it for 3 years and he loves it and is maintaining now – so we could do fast days on the same day together. I’ve had trouble with headaches despite drinking loads of water, and on non fast days have felt nauseous and like I’ve been hit by a bus, so I stopped doing it. I’ve been to the doctor and had myself checked out as I was worried I might be pre diabetic but my blood glucose is fine although cholesterol was raised for the first time in my life. I’m starting the clever gut diet and think this is just what I need for my Ibs and the after effects of antibiotics. I am thinking I’ll follow a Mediterranean diet – I love this type of food (and I can have a glass of red wine and dark chocolate 🤙😀) I’ll cut out those foods that don’t agree with me and my IBS and broaden the range of foods I eat and include fermented foods. I thought I’d ease into intermittent fasting after a week or so by trying 1 day fast of 800 calls rather than 500 then build up to two fast days. Oh, and I’m going to increase my exercise – get on my bike again . How does this sound?? Hi iKeeptrying, sounds like you’re on the right track. I’ve been doing 5:2 for over 4 years and it’s so ingrained in my routine that I don’t think twice about it. I have always done 500 calories but I’m thinking I will up that now that Michael’s advice is to go up to 800. When you’ve done it previously, have you cut out drinks/foods you would usually have? e.g. coffee, tea, etc? Could it be withdrawal that you’re experiencing? I do 5:2 most weeks except for holidays, birthdays etc, and then there are some days that I just don’t feel like it if I’m not up to par. I go with what my body needs. I drink tea, coffee and herbal drinks while fasting and eat my normal foods except less of it and a lower number of calories. Although I am already implementing food ideas from the new book. Some people spread their calories out over the whole day, while others have just one meal. Personally, I find two meals works for me – breakfast and dinner. You have to do what works for you. It’s not stupid at all, I’ve done that, too, many times! Yes I struggled at first but it got easier. To be honest, I had to sort some aspects of my life out before I could handle it. Because stress was making me comfort eat. Now I’ve done that, it’s a lot easier. Plus I’ve found that after a few weeks, the hunger gets less. The other thing I do, on the day before a fast I eat much later in the evening than normal (about 8 or 9pm). That way I wake up not very hungry. I can then happily leave it till 3.30pm when I have a meal containing loads of vegetables and some eggs & salmon. That fills me up till about 8, and then I go to bed hungry. On the intermittent fasting website people suggested slightly increasing salt intake on fast days to improve headaches and dizziness, especially if you are also lowering your carb intake as kidneys can dump salt when fasting. I found it helped – I sometimes have miso soup or Marmite in hot water on a fast day. I recently cut out foods that made my blood sugar levels to go up and down too much; sugars, potatoes, pasta, rice etc which has stabilised my blood sugar levels, consequently I don’t get so hungry and more importantly I don’t get dizzy, cranky, excessively tired etc when I haven’t eaten for a few hours, which I used to before. Followed a bone broth ‘diet’ protocol for 3 weeks which sorted out my blood sugar. This ‘diet’ also advocates fasting for 2 days a week so on those days I start with a veg juice, perhaps including 1 apple but no more fruit than that, and add an avocado to make into a smoothie along with some of the fibres from the juiced veg. For lunch and dinner I have a veg soup and for the afternoon slump I drink a cup of golden milk using unsweetened almond milk and turmeric paste, videos on youtube as how to make the turmeric paste. This works really well for me, also fast on the 2 days a week I work as very busy those days and am also away from my own kitchen and temptation. 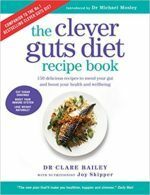 But to me sounds like you need to get your blood sugar under balance which is best to do by avoiding all sweeteners and sugars for a few weeks, as Dr Mosely recommends in his book, the things you crave are best avoided if you want to readjust your biome. I agree with Kalm on the foods but I would not juice, rather eat the veg lightly cooked with a bit of butter or as a salad, as you then feel more full and the will power doesn’t have to work so hard! I find that egg helps fullness too, so hard boiled on salad or poached on cooked veg or stirred into broth before serving all help fullness. Juices go through the gut very fast I find and leave me feeling hungry. There is also an online program developed by Michael Mosley and his team called IFast12 (www.ifast12.com) if you do feel that you want extra advice and support. The online program runs for 12 weeks and provides Med Style Diet recipes, meal plans, shopping lists, High Intensity Interval Training workouts, videos and educational handouts. The program is based around a 800 calorie fasting day. So I’m going to add another layer to the plan I’ve made for myself and restart the 5:2 – taking it easy to start off with just one fast day this week and see how I go, then build up to two FD’s per week. Reading clever guts Michael recommends 800 on fast days with a Mediterranean type diet. Has anyone done this or been in a similar position ? Has anyone got any advice? dehydration. Water alone does not hydrate us, we need a raft of nutrients to hold onto that water. Drinking too much water (esp. without food or with sweating) can flush out electrolytes. No Firefox, I haven’t, I wouldn’t go to my doc with these kind of symptoms as they aren’t taken that seriously by orthodox Medics generally, in my experience. I’ve read enough to recognise that my symptoms are v similar to leaky gut symptoms and by following the recommend treatment plan my symptoms have almost gone. I did go to my doctor to get my blood sugar level check and they were normal. Ikeeptrying: the symptoms you describe aren’t specific to Leaky Gut or any other gastrointestinal condition. If you have LG relatively lengthy elimination and reintroduction phases are indicated, ideally supervised by a registered dietician or nutritionist. Fasting blood glucose in prediabetes/ insulin resistance would be elevated. I am talking about blood glucose dropping when fasting. That is classed as ‘normal’, but may lead to unpleasant symptoms when fasting for longer than usual (most people fast overnight), or when drastically reducing the carbohydrate content of the diet. Firefox that’s interesting how did you come to this conclusion? Ikeeptrying: not sure which conclusion you refer to. My comments are based on working in and studying healthcare. Initially the ‘orthodox’ (pharmacy/ research labs) but later in lifestyle modification (physical activity/ nutrition). You pick up a lot from colleagues and clients, yet are reminded how little you know of such a huge field! And you learn how much misinformation is online. Truly frightening. There is enormous overlap in symptoms with many health conditions, both physical and mental. In part this is because of the common underlying inflammation/ immune response/ imbalance in the gut flora/ modern lifestyle choices. It takes skill and knowledge to pick this apart. Many patients don’t link all their symptoms together until carefully questioned, they might not appreciate the impact of their lifestyle on how they feel, or be unaware of differential diagnoses. Having symptoms doesn’t mean we meet the criteria for a particular medical condition. Sometimes doctors misdiagnose on symptoms alone, hence the need for blood tests or a colonoscopy or a full blown elimination diet to confirm the presence or absence of certain gut conditions. @ Gordon Wanless there’s an increasing and (in my view) overwhelming bank of scientific data to support the value of fasting. Denying it is somewhat akin to denying global warming ! @gordon Wanless: I’m a scientist. Yes the majority can be wrong; yes common sense is important, but an awful lot of this is counter-intuitive anyway. (For example fat DOES NOT make you fat). I’m persuaded by the scientific evidence when its overwhelming whatever our instincts might seem to tell us.. I follow a way of eating very popular in South Africa, called Banting. It is sometime called the Tim Noakes diet. Elsewhere around the world it is called LCHF (low carb high fat). Most people who switch to this way of eating find fasting very easy once they are fat adapted (i.e. using fat for energy rather than sugar). So my recommendation would be to try LCHF for six weeks or so before you try to fast. One rule of eating this way is only eat when hungry so many find that the fasting naturally comes, if you are not hungry at breakfast and skip it then if you didn’t late night snack there might be 14-16 hours of fasting between breakfast and dinner. If you are not hungry at lunch this might become 18-20 of fasting. Other fasting resources are available on You Tube from Dr Jason Fung. There are many ways to achieve fasting – its just working out whats right for you. Good luck.